Whilst I have been hanging the normal Christmas decor, Ethan has branched out and is creating these stunning Christmas fish mobiles. 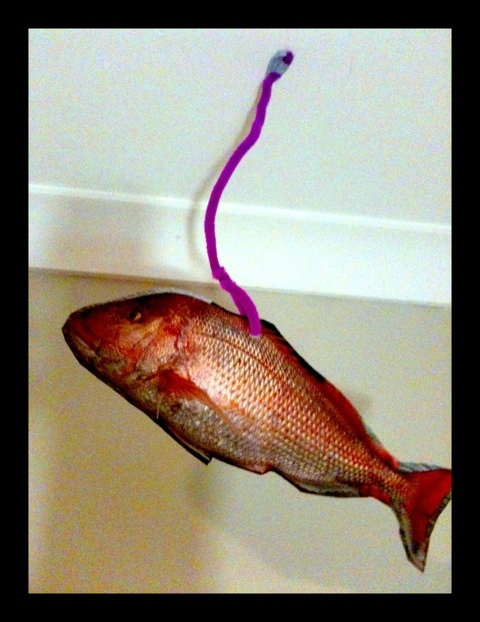 Pictured below is the snapper model, hung on a purple pipe cleaner and blue-tacked to the ceiling. A truly festive addition to our bedroom. You should see the gurnard option hanging in his room, it’s a holiday sensation I’m telling ya! Christmas Gift Guide | All the Beautiful Books!